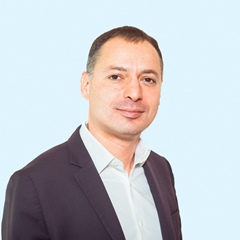 Houssem has managed the “Security and Trusted Transactions” R&D Department at Orange Labs, global expertise centre in m-payment, contactless technologies, and telecoms security for 7 years. Houssem started his career at Electricité de France R&D in the area of artificial intelligence. He then joined France Telecom – Orange Group and contributed to projects related the study of usages and customer relationship. Houssem has been involved in the creation and deployment of the “Payment & Contactless” product line within the Orange Group. Graduate of ENSTA – ParisTech engineering school and holder of a Ph.D. Artificial Intelligence from Paris University, Houssem is the author of numerous scientific publications and co-inventor of several patents. 12:00 PM Power Panel: Fast Forward Five Years: What Does the Future Hold for the Payments Realm? Check out the incredible speaker line-up to see who will be joining Houssem.